This past week I bought a mattress—like, a real mattress—for the very first time. In the five plus years since I graduated college, I’ve been through two $100ish dollar pieces of IKEA foam nested less-than-comfortably on wooden IKEA bed slats. They creaked and groaned with every move, and each night’s sleep was slightly more uncomfortable than the last. This is a fairly accurate representation of how huge my new bed is. So how is it that I am writing to you now, perched atop a tower (no kidding, an actual tower) of coils, latex, and foam? How is it that I’ve joined the ranks of the elite, with their fancy box springs and ten year warranties? I didn’t get my PhD, nor did I get a job, and I most definitely did not get rich overnight. Far from it. I wish I could say I came to the decision to toss my crap bed and invest (with the help of my beloved mother) in a real mattress through meditation and a careful reframing of my self-image. Alas and alack, that would be a lie. I came to the decision because I’m in pain. Like, I’m-going-to-need-surgery level pain. [I]t can be really hard to know what you’re going to need to get through college, and how exactly to go about getting it. Because college is a new life experience, it necessarily brings up new issues for which one is unprepared. The most important accommodation I had in the course of my undergraduate career wasn’t about where my classes were or attendance policies, or even being excused from classes during inclement weather. 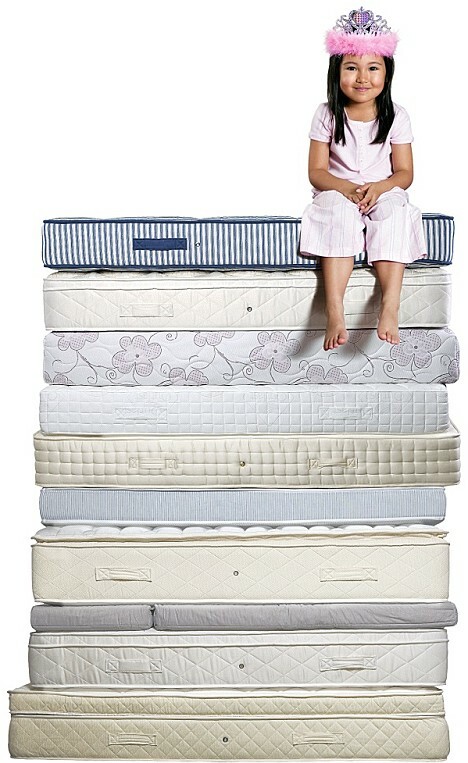 No… turned out I really needed a new mattress every year. Can’t say I’d seen that coming when I was getting myself ready to go to college. What your students need may surprise you, but keep in mind that it may also surprise them. Realizing I needed a new mattress now, almost ten years after I originally marched (okay, limped) to Bryn Mawr’s Disability Services office and requested the same was admittedly a little demoralizing. What was more demoralizing, though, was realizing that it took yet another instance of physical impairment to get me to prioritize my wellbeing over my credit card balance. The moral of the story here is simple: think about how you would treat yourself if you’d just returned from a trip to the hospital. If you’re anything like me, you’ve found—or imagine you would find—that in the moments where your health hangs in the balance, you speak up, make demands, and advocate for yourself. You can’t afford not to! Why oh why don’t we treat ourselves that way all the time? You know that adjustable bed commercial where the middle aged woman says something to the effect of “I’m glad I didn’t wait until I’m too old to enjoy this!” Well, that’s basically what I’m saying, only in a “hindsight is 20/20” kind of way. At this particular moment my fancy new mattress isn’t a luxury, it’s a necessity. It’s a necessity because I waited until I WAS in too much pain to view it as anything else. Yes, I am enjoying my new bed, but I’d definitely enjoy it more if I’d bought it earlier, and for the right reasons. I can think of nothing more important for quality of life than a good place to sleep. And yet, for four long years I let (a) sticker shock, and (b) the cockamamie notion that grad students aren’t supposed to be comfortable, keep me from having my gigantic miracle bed. Lesson learned. From here on out, I’m going to expect better of myself. I’ll always find the money for the things I need: the more difficult task is remembering that I deserve to have the things I need. So yeah. The new office chair’s being delivered tomorrow.